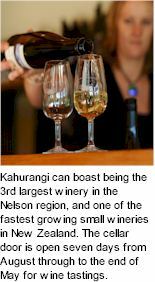 Kahurangi Estate was established in the early 1970s, later acquired in 1998 by the Day family who changed the name to Kahurangi Estate. Kahurangi is the Maori word meaning treasured possession, precious jewel, pale greenstone and blue sky. Kahurangi National Park is New Zealand's newest and second largest national park some 452,000 hectares, situated in the northwest corner of the South Island, best known for its Heaphy Track. 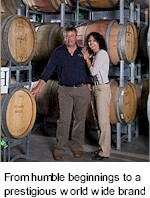 Owners Gerard and Joy take pride in the fact that all wines bearing the Karina label are 100% Estate grown and made. 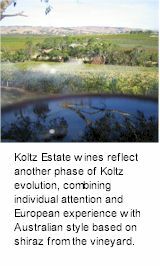 Its vineyards, planted in prime Terra Rossa soil, span 330 hectares in the heart of this comparatively small and remote region in the south east corner of South Australia. From here come red wines that have contributed to Coonawarra's international reputation and white wines with equally distinctive attributes. Keith trained with prestigious winemakers in the Burgundy commune of Pommard, founding the Cleveland wineworks on the Macedon Ranges in 1989. 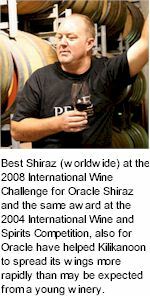 He continues to observe, teach and participate in viticultural and winemaking experiences throughout the world. 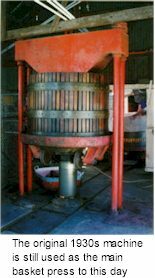 Brien quickly learned that a combination of the most up to date technology and traditional practices produce the finest wines. 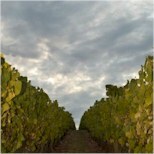 He also learned that as vines grow older, they begin to struggle and produce lesser yields of more expressive grapes. The fruit of Old Vines is highly prized because of its intensity and depth of character, a quality for which there is no substitute in the art of winemaking. 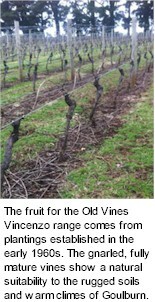 The fruit for the Old Vines Vincenzo range comes from plantings established in the early 1960s. The gnarled, fully mature vines show a natural suitability to the rugged soils and warm climate. 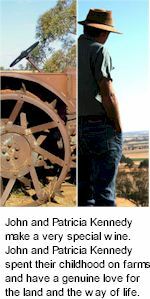 John and Patricia Kennedy spent their childhood on farms and have a genuine love for the land and the way of life. In 1981 they began wheat and sheep farming at Corop in north central Victoria. They started with basic machinery, quality soil and plenty of enthusiasm. In 1982 the Kennedys ventured into growing tomatoes. The fact that they had no experience in this form of horticulture was given only passing concern. In 2001, while still growing tomatoes and cereals, they decided to acquire land on the Mount Camel Range. This land has been prized for cereal cropping and in later years much sought after for grape production. The glass of wine was in London, the night big and the company good. 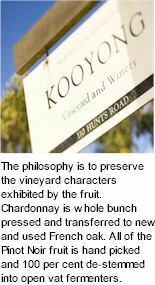 Kim and Erica Crawford and David Gleave MW pondered wine styles of the world with youthful self-righteousness and decided the world needed a clean, top quality, fruit driven Chardonnay devoid of the heavy oak used at the time. The two babies who arrived shortly after propelled Kim and Erica to realise the notion and Kim Crawford Wines was established in 1996. Four thousand cases of wine were produced. Kooyong Estate was established on a gently undulating 93 hectare property neighbouring Devilbend Reserve, home to many native water birds. The Kooyong name means where the wild fowl gather. 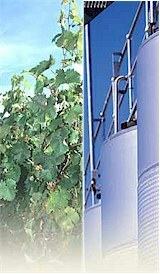 The vineyard and winery are part of the Gjergja family domain which also includes Port Phillip Estate. Compared with more southerly vineyards on the Mornington Peninsula, Kooyong experiences a warmer, drier climate, and the light, sandy clay soil is also less vigorous than the more typical rich loam of the region. The winemaker is Sandro Mosele. The family's group of companies extended to Australia, establishing Kreglinger Australia in 1893. 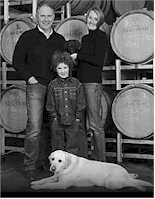 In 2000, Kreglinger (Australia) Pty Ltd diversified into wine production and marketing with the establishment of Norfolk Rise Vineyard and winery at Mount Benson in the Limestone Coast region of South Australia and the following year took majority ownership of the Pipers Brook Winery. Kreglinger Wine Estates, the producers of the internationally acclaimed Pipers Brook Vineyard, Ninth Island and Kreglinger wines has a history that encompasses over 30 years as a modern pioneer and leader of the Tasmanian fine wine industry. Krug’s founder, Johann-Joseph Krug, was a maverick who turned his back on a comfortable position in an established champagne house to strike out on his own. He had not only the vision, but also the talent, to achieve his ambition of creating a champagne with a taste quite unlike any other. Theirs is a living legend, a certain idea of excellence that has been quietly redefined through six generations without a break. Subsequent generations of the Krug family not merely honoured his achievement, but amplified it, bringing genuine pride and passion to their craft. The family migrated from Yugoslavia in 1938 and had been working in the far Northern part of New Zealand digging kauri gum. After moving to Henderson, in West Auckland, in the early 1940s, they worked on vineyards and orchards in the area and saved enough money to buy a property with a small existing vineyard at Kumeu. Mick Brajkovich died in 1949, but Mat and Kat continued to tend the vines, make the wine and build the reputation of this fledgling wine company that became known as San Marino Vineyards. In 1958 Mat married Melba Sutich from Dargaville, whose antecedents also came from the Dalmatian coast.